Salina White Granite Countertops / Counter tops ,With the latest style of Stainless Steel Under mount Farm Sink . This project was fabricated & installed by our professional team of experts at Hesano Brothers for another 100 % satisfied customer . 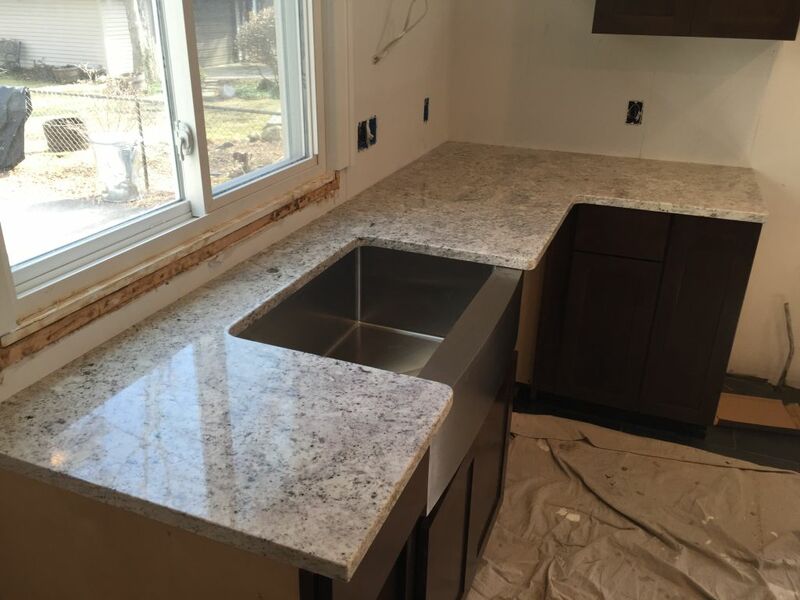 This project was done for a remodeled kitchen in Sterling Heights,Michigan .